Perhaps one of the greatest struggles a bride faces in planning her wedding is choosing whether to have it inside or outside. There are many upsides and downsides to each option, but is one truly better than the other? What if it rains at your outdoor venue? What if your indoor venue is too small for your large guest list? 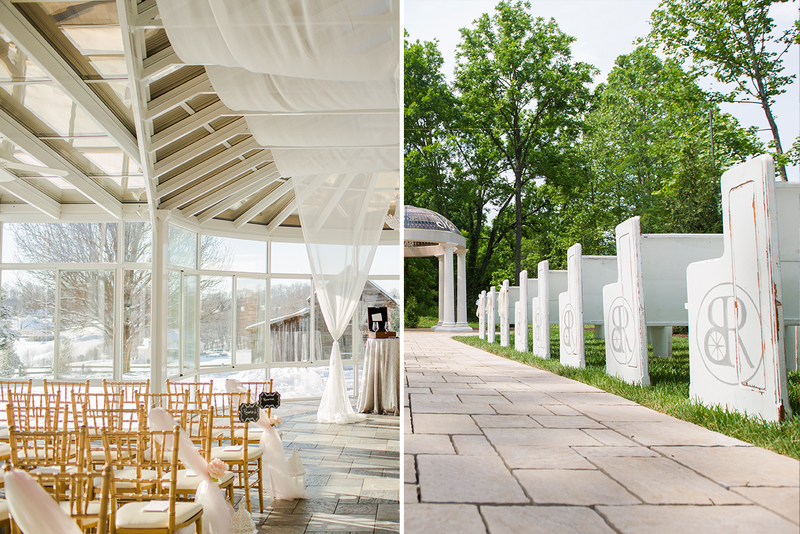 This article breaks down the pros and cons of indoor vs. outdoor weddings, and leaves you with some great tips and advice to keep in mind when choosing a venue. You don’t have to worry about the weather. This is the number-one reason brides and grooms have such a hard time deciding between having an indoor wedding, and having an outdoor wedding. The weather is just so unpredictable! However, if you choose to get married indoors, you can be certain rain won’t put a damper on your day. You have more freedom for decoration. Not all weddings feature extravagant decorations, but if yours will be one of those weddings, then you may want to consider an indoor wedding. Walls and ceilings provide ample room for beautiful décor and elegant adornments. This one should be pretty self-explanatory. Indoors has AC for you and your guests that will help you remain comfortable for the entire evening. Since the comfort of your guests is crucial to the success of the evening, consider this when choosing a venue. 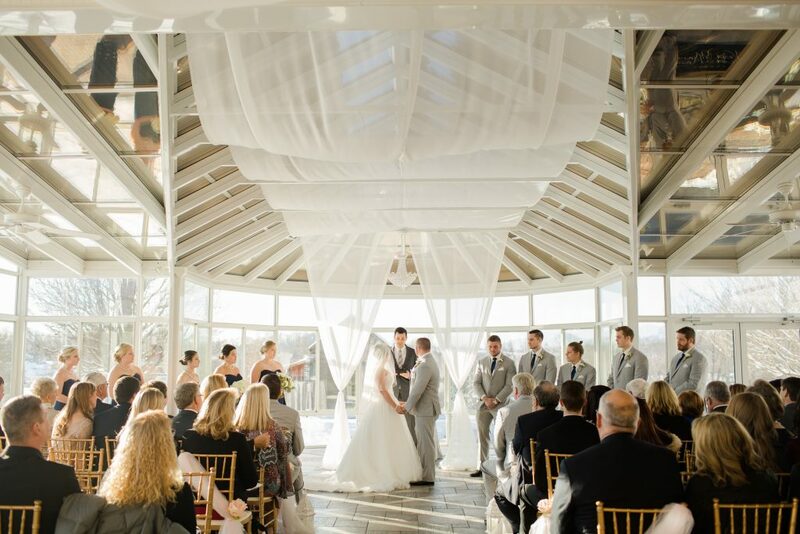 Whether you dream of getting married in the dead of winter, or in the scorching summer heat, having your ceremony or reception indoors will ensure year-round protection from the elements. Don’t let Mother Nature be a deterrent! Limited size and capacity (depending on venue). One of the downsides of having an all-indoors event is that, depending on the venue, there might not be room for a lot of people. Each venue varies, but limited indoor event space is unavoidable to an extent. It may be a lack of place settings, tables, and chairs, or it may be a lack of pure square footage. Either way, consider the size of your guest list before you select an indoor space! Your photographer might have a tough time moving around freely. The limitations of an enclosed space may prevent your photographer from getting the shots you want, depending on how the space is set up. If there are tables, chair decorations, or guests in the way of your photographer, they may struggle to capture that perfect shot. This is certainly not a guarantee — just something to keep in mind! There is almost nothing more beautiful and breathtaking than a natural landscape backdrop to the perfect wedding. Whether the scenery is a beautiful mountain range, a serene field, or even the woods, it’s hard to beat the beauty and elegance that nature offers. Less time and effort needed for decorations. Part of the beauty of a natural setting is that it can often make up for a lack of decorations. This is not to say that decorations are not necessary — or even unwanted — outdoors! Often, there are less places to decorate outdoors, so, if desired, less time and effort may be needed for preparing decorations. Larger space fitting more guests. Outdoor venues are often more spacious than indoor venues, which means that they can easily accommodate a supersized guest list. Of course, you would have to make sure your desired venue can accommodate a large number of guests. If they can, then the freedom and open air of the outdoors may be perfect for your special day. Photographer can move around freely. Above, we discussed how an indoor venue may prohibit your wedding photographer from moving around the ceremony or reception freely. Alternatively, an outdoor venue would provide your photographer with ample space in which to capture the perfect shots. In the same vein, natural sunlight will provide much better lighting for your photographer than the indoors would. Depending on your photographer, having natural sunlight will add an incredible vibrancy to your wedding photos. Every bride’s biggest fear is rain on her wedding day. Furthermore, if your wedding ceremony is outside, rain could quickly mean that either the ceremony will have to end short or everybody will become drenched. Remember that rain is always a possibility no matter where you are! Likewise, extreme heat, cold, and wind could also show up as unwelcome guests. It is more difficult to use extensive decorations. As discussed above, the outdoors do not lend themselves well to extensive decorations. If you are one who must have tons of gorgeous décor, then you should either find ways to be creative and work with what you have, or consider finding an indoor venue. Indoor weddings will naturally have more of a formal feel unless you explicitly specify otherwise. 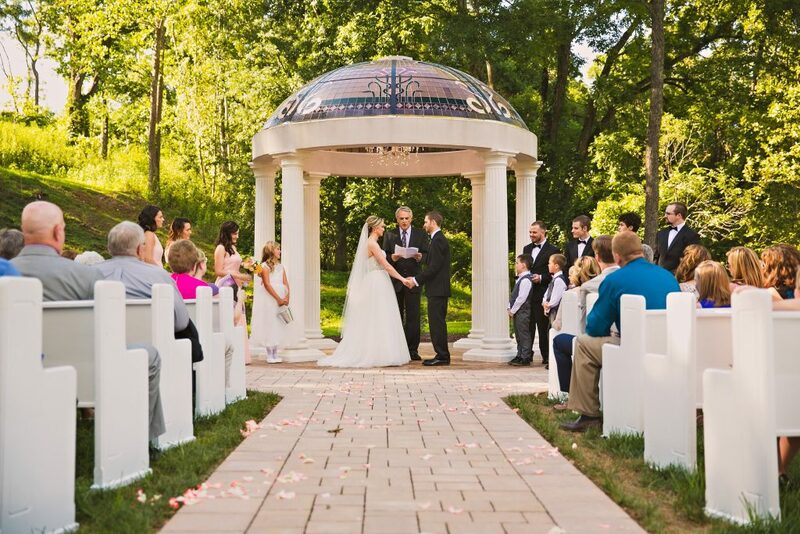 Conversely, outdoor weddings will naturally have a less formal feel to them. If you choose an indoor venue, remember that you can use the outdoor space to take pictures, even if your ceremony and reception are not outside. If the venue permits, you should rent a tent if the whole ceremony and reception is outdoors without cover. Not all venues will allow or need this, however. Take note of your geographic location when deciding on an outdoor venue. Rain is more likely and more unpredictable in Boston than it is in Los Angeles, so if you live in Boston, you may want to think carefully about having an outdoor wedding. If you choose outside, ensure your guests are comfortable above all else. Even if you expect the weather to be perfect at your wedding, consider providing foam flip flops for every guest. Consider having your wedding program double as hand fans. Above all else, provide plenty of water, especially if it’s hot! I totally agree wehn you said that one benefit of choosing an outdoor wedding venue is the space that it offers, making it easier to accommodate a huge number of guests. I am about to get married and we are thinking of getting married at an outdoor venue because I have numerous relatives from both my mother’s and father’s family. With this, I guess I’ll have to get in touch with an events coordinator that can provide a list of outdoor wedding venues where we can choose from. Of the things that you said, what got my attention was the fact that outdoor wedding venues will easily accommodate all of the guests in case a lot of them arrives. That is actually one of the reasons why I want a garden ceremony for my wedding this coming August. My friends do not usually confirm whether or not they will come, but I have a feeling that more than the expected will arrive. It only makes sense that I prepare just in case.